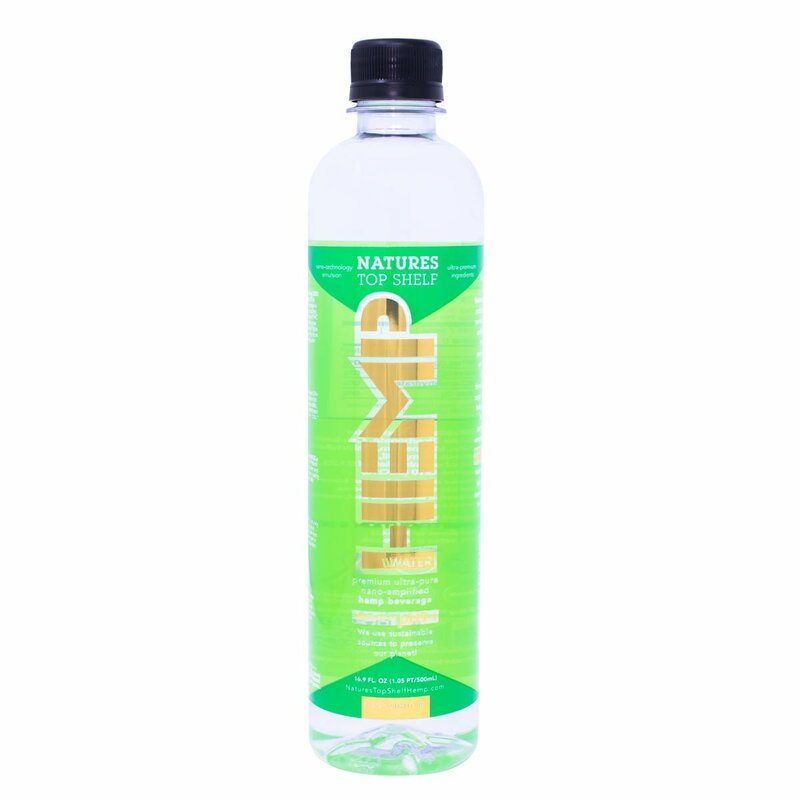 Try a bottle of our ultra pure nano charged hemp water. We begin with water from local sources, passing through sand filters similar to the natural process of ground water filtering through sediment layers. Next, the water goes through screen filters, toward the evaporation tank, where it is heated to evaporation using solar thermal energy at a temperature lower than the boiling point of water. The cloud of moist air rises and condenses into purified rain in the condensing tank. At NaturesTopShelf, we extra-ensure purity by then using a carbon filter, 2 sub-micron filters, and a UV filter. Finally, the purified water is ozonated before being bottled into pure, great-tasting premium hemp drinking water. Contains 3,000,000 Nano Grams of Hemp Oil.